We’re taking #GLNYchat to another level. This week, we’re going to pay close attention to all of those tweets and at the end of the chat, pick a “Top Tweet,” who author will win a $50 gift certificate provided by Clyde’s Wine and Dine in Hell’s Kitchen. We are going to be talking about food in NYC so foodies out there get ready. We all know our favorite slice, go to restaurants, food cart hidden gem- so let’s share them with the world. 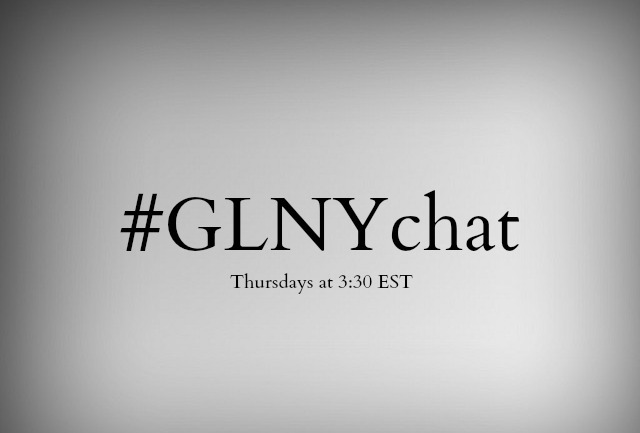 Thursday at 3:30 EST, use #GLNYchat on twitter. See you there! Beginning today, and continuing each week, Gray Line New York will be highlighting a “Partner of the Week” on our blog. We are going to provide a review for a new partner’s product every Monday and share our own insights and experiences. This week, our Partner of the Week is Top of the Rock. I have never been to the Top of the Rock. Despite living in New York City and growing up on the Jersey side of the Hudson, I have never found my way up to the 69th floor of the world renowned GE Building, more commonly known as Rockefeller Center. In preparing myself for my trip last Thursday night, and this subsequent review of the experience, I filled my mind with what I was going to write about. I was going to scribe the incredible view that you get from so high above civilization, put to words something that you have to see to believe. 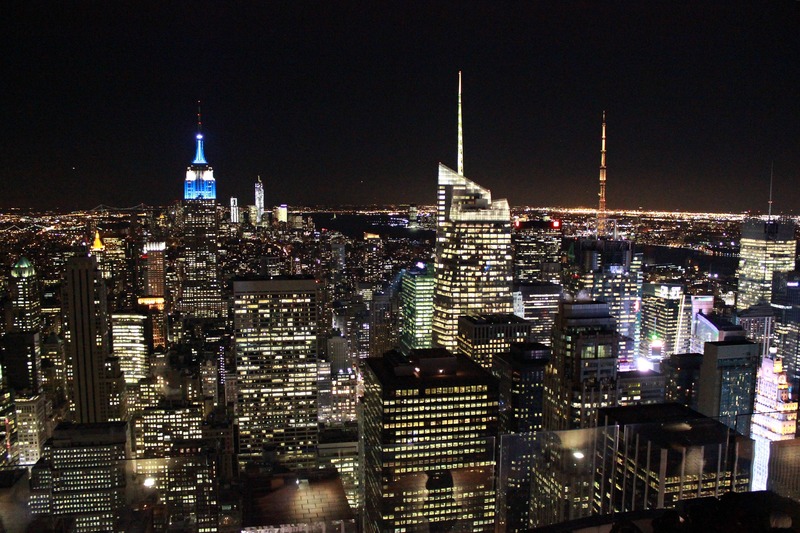 I was going to brag about how lucky I am to visit the Top of the Rock on such a clear, pristine night. I had mapped out exactly what I expected in my mind, and probably could have written this review using a stock photo and my imagination, never actually having to experience the attraction. My night began shortly after 5 p.m. when I hopped off of the Downtown Loop bus tour at its Rockefeller Center stop on 49th Street. It was a blisteringly cold night and the wind was whipping through the Plaza. I tightened the scarf around my neck strolled across the face of the J. Crew store in the GE Building to the 50th Street side, where I found the entrance to the Top of the Rock Observatory. There was a crowd gathering and an electronic sign hanging from above instructing all ticket holders with a reservation prior to 5:15 to head up the golden spiral staircase to the security checkpoint. I had yet to set a reservation, so I proceeded down the stairs to do just that. On the bottom level, I was greeted with a fairly long line which surprised me. I wouldn’t expect many people to want to climb to the outdoor observatory 69 stories above the ground when it is 22 degrees outside and windy at that, but I digress. After all, I’m doing it, so why wouldn’t anybody else? Luckily for me, I already had a prepaid voucher so I wasn’t forced to wait in the line to buy a ticket. If you buy your voucher before you get there, you get to skip the line and go right to the reservation table. I was a little let down when the next open reservation was at 6:45 p.m. I thought I had timed it perfectly so that I would get to floor 69 just as the sun was setting, but I didn’t anticipate having to wait an hour and a half after redeeming my voucher to actually step foot in an elevator. What seemed like a disappointment actually turned out to be a treat in and of itself. Now that I had 90 minutes to kill, I was afforded the time to explore the concourse below Rockefeller Center, which is full of things to do. You can visit the gift shop, grab some coffee, sit down for a full meal in some of Manhattan’s nicer restaurants, go ice skating, get a professional hot shave, drop off your dry cleaning and even pick up your vitamins. I quickly found my way to one of my guiltiest of guilty pleasures, Jacques Torres Chocolate. If you’ve never had a cup of Jacques Torres’ famous hot chocolate, I want you to do me a favor. Imagine yourself sitting on the most beautiful beach in the world. The sand is flowing between your toes and the sun -not too hot- is gently kissing your toasty skin. To your left there’s not a soul to be seen and to your right sits the most beautiful person in the world. 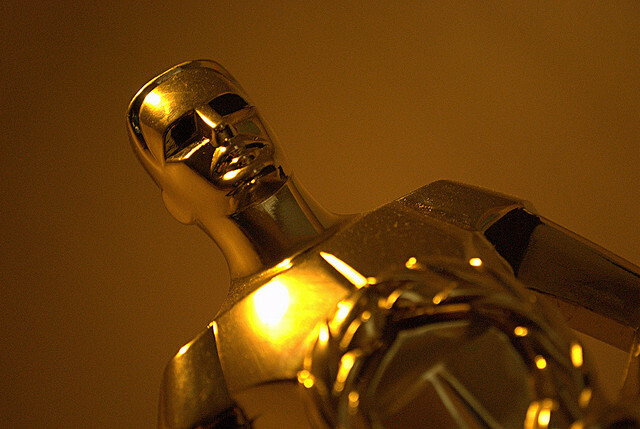 Maybe that’s your wife or your kids, maybe it’s Mila Kunis- to each his own. Now take that image, add chocolate and put it in your mouth. That’s Jacques Torres hot chocolate. I grabbed a cup of the white chocolate chai, put my feet up and began some people watching. By the time 6:45 came, I had finished my Mila Kunis swirl and was ready for the elevator, but one last roadblock was keeping me from getting to the top: security. Each person visiting the Top of the Rock has to go through an airport style security checkpoint, but the line moved quickly. After gliding through the mini Rockefeller Center museum and watching a quick film on the history of John D. Rockefeller, I finally made it to the elevator. 42 seconds later, I was on the 67th floor. When you leave the elevator, you enter a surprisingly large room that wraps around more elevators. At the east end of the room are the doors that lead outside. I first went to the platform on the north east corner, overlooking Central Park. The view was incredible. I could see my old apartment building in Harlem as well as my new home in Queens. The size of the park was dauntingly vast, yet contradictorily small. It was a weird feeling, being able to see the entirety of Central Park in one look, yet realizing that it is still miles long. But I wasn’t here for the 67th, floor- I was here to go to the Top of the Rock. I quickly found the escalator to the 68th, followed by the staircase to the 69th floor of the building. Floor number 69 is entirely open. The two floors below have a Plexiglas barrier around the sides to prevent people from falling over the edge, but the top story was free of obstruction. This made number 69 substantially colder because there was nothing to block the wind from swirling around the building. In 22 degree chill with gusts of winds nearly knocking me off my feet, this meant that you couldn’t stay up there very long before coming down with frost bite. I immediately pulled out my camera and began shooting pictures. I’ve seen hundreds of perfectly taken photos from the Top of the Rock before, but that didn’t mean that I wasn’t going to get my own, nor did it mean that any of the other guests were going to leave without capturing their own personalized timestamp from the sky. On a warmer evening, I imagine that people would have to fight for positioning to get that best shot embedded on their SD card, but this night’s cold actually made for a pleasant photo taking experience. After shooting from all corners of the building, I decided to put my camera away. I realized that in trying to get all of the coolest pictures so that I could tweet about it later, I was missing out on the experience. I found a spot against a wall to sit and ended up staying there for about 20 minutes, just looking south at the Empire State Building and One World Trade Center and Brooklyn and New Jersey and the Statue of Liberty, and thinking. I thought about how, right in that very moment, there were millions of people on that hunk of land below, just walking around. Then I thought about how just below them are thousands more riding from one place to another. I imagined Columbia, Missouri, the town in which I went to college, and where it would fit into all of this. If Columbia’s 100,000 residents were to suddenly appear in the city below, would anyone even notice that it got more crowded? When you go to the Top of the Rock, take your pictures with your family and friends, and try to get some amazing shots of New York, but don’t forget to just take some time for yourself. 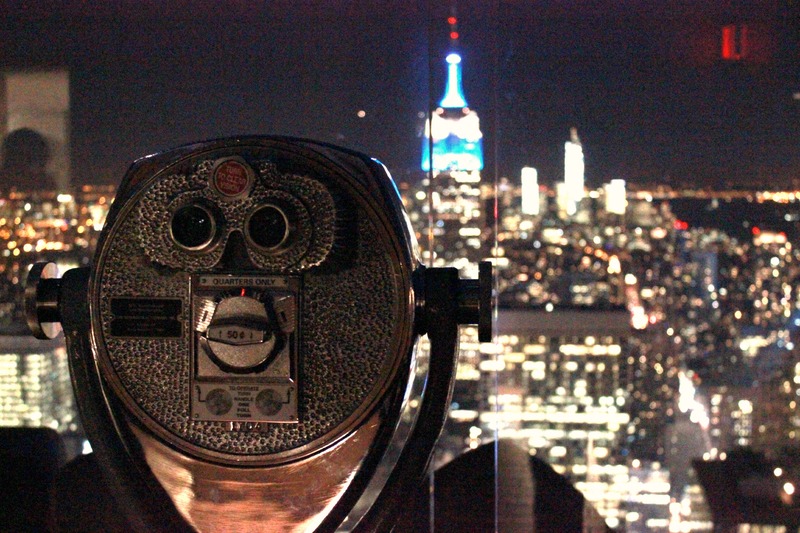 Before I went up to the Top of the Rock, I assumed that I would write about how beautiful the view was and share the cool pictures that I took, which I did, but the experience is much more than that. 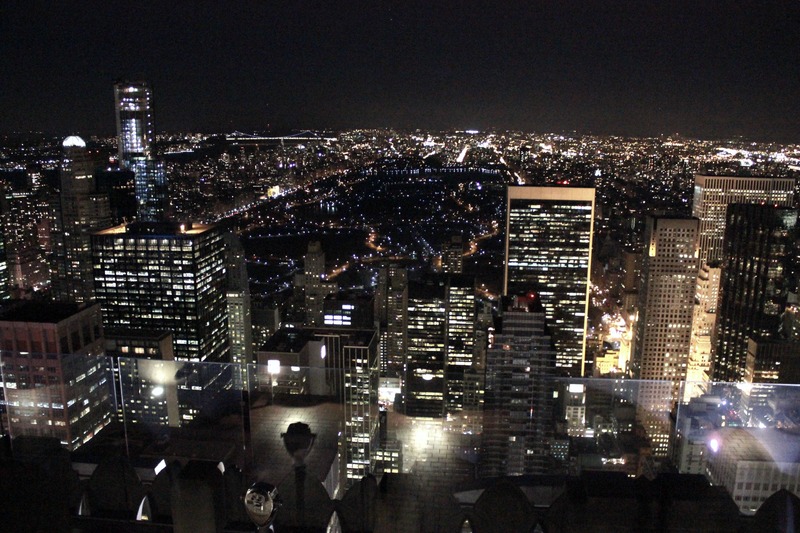 If a picture is worth a thousand words, than the feeling that you get while on top of NYC is worth a million. It’s a majestic feeling that I could try to put to words, but I’d never do it justice. I’ll just leave it at this: you have to experience it to truly understand. I grabbed my camera and was ready to go. I went back down to the 67th floor where I caught the elevator to the bottom, and then headed home. There was one thing about my experience to the Top of the Rock that I omitted, but this was intentional. At one point in my journey, I was completely caught off guard be something awesome, and you will be, too. I don’t want to ruin the surprise because the fact that I didn’t expect it is what made it so great. For only $5, couples will be treated to hilarious stories about love and relationships by some of New York’s funniest and talented improvisers. Enjoy delicious entrees accompanied by the sweet sounds of Jazz music at KTCHIN this V-Day. Succulent smoked salmon and braised beef short ribs will help you fall in love all over again with your significant other. Forgot to make a reservation? That’s ok, you can escape the hustle and bustle of the city for a nice, quiet romantic stroll through the park. Best of all it’s free! We all know that getting chocolate is probably the best part of Valentine’s Day. So check out Kee’s where they specialize in creating the best chocolate all year round. They use the freshest ingredients from Japan, France, and Spain to craft the most delicious candy you’ll have on any Valentine’s day. This Hell’s Kitchen, New Orleans style bar will be partying all day and night. With two floors and balconies perfect for bead throwing, you’ll surly be in for a good time. For just $25, you get jazz music, a free hurricane and unlimited Cajun food. This party starts at 6 p.m., so don’t miss out! 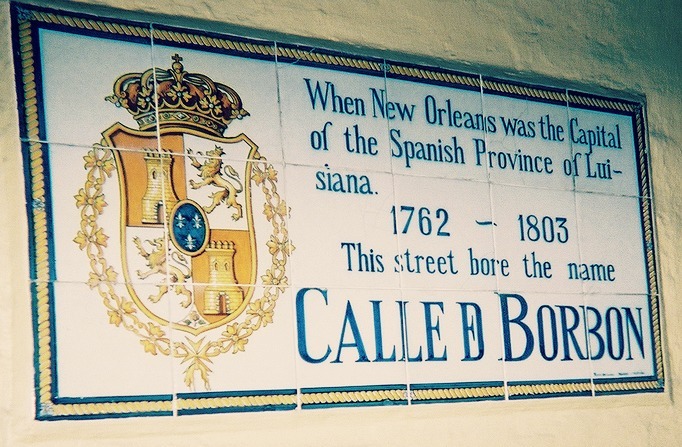 If you’ve ever been to the French Quarter, you know of the little alleyway off to the side referred to as Exchange Place. This Lower East Side bar is an ode to Exchange Place, and makes one hell of a hurricane. You don’t have to go to Louisiana to visit the Ninth Ward. Just head down to the Village for the bar with the same name and a Cajun theme. Oh, and don’t forget to try the Bayou Burger!